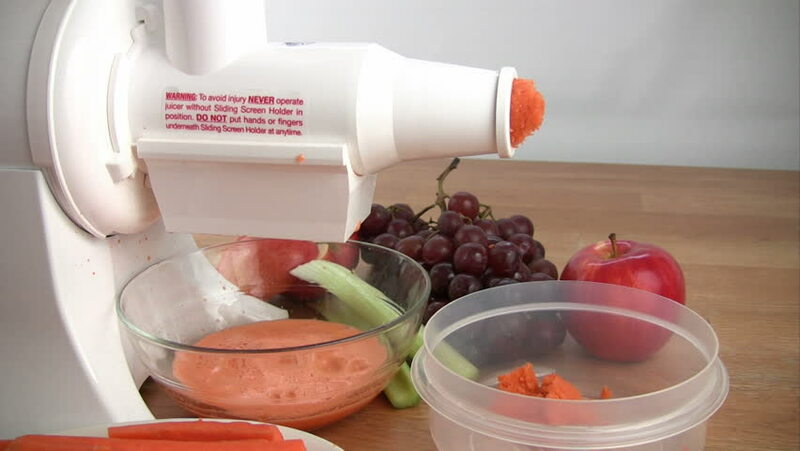 Raw carrot juice being extracted from an electric juicer. Clip shows juice being extracted and dripping into a bowl and the pulp coming out into another bowl. hd00:33Handmade red candy apples for Halloween. hd00:19Pouring hot steaming freshly brewed black tea into a a white porcelain cup on white table. Closeup. Top view. 4k00:05Detail shot of the of tray with fried chicken, french fries, ketchup and cheese sauce in city cafe. Woman's fingers dip food in sauces. 4k00:12A woman makes a creamy hummus dip in a food processor. She turns on the kitchen appliance, lets the blades spin, and turns it off. The food processor sits on a rustic wooden counter with fresh lemons.